Don’t Buy! Rent the Equipment Your Business Needs Instead! When starting a business, oftentimes new entrepreneurs think that they have to own everything that their business might need. 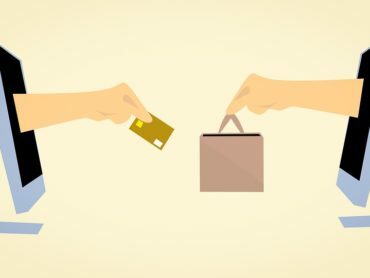 There are certain things that have to be owned, like the gondolas for a retail store, and there are things that only make sense to buy, such as the computers in the office, but not everything has to actually be paid for. A lot of it can be rented. Even the desk that the computer sits on, or the chair you sit on to use the computer, can be rented. Signing a lease for your work equipment is a much better idea for a business in its start-up phase. It can save you from having to fork out so much in this early phase, allowing you to put your capital in other areas of your business. Renting can also help you down the road, keeping you from having to pay additional costs beyond the initial purchase. If you are looking into starting your own business, consider renting one of these before you end up paying more than you really need to. Contractors are going to need to buy tools. Because of the jobs they do on a regular basis, they are going to need a wide variety of handheld and pneumatic tools. Yet there are services they offer but perform so irregularly that it would not make sense for them to own. If you are looking to become a contractor, consider the cost of the tools you will be using and how often you will be using them, then determine which ones would be better to rent from a home improvement store occasionally. Renting a commercial truck or fleet of trucks can save you a lot of money. Again, your business might have a need for a regular-use vehicle, but when jobs call for a specialized truck or construction vehicle, you can rent one for a lot less! If you take on a project that requires the use of several vehicles that you do not currently own, buying new ones is probably not the best route — especially if you are not going to use them again for several months (or years, in some cases). Why pay for vehicles that can only be used on specific types of projects and that are usually completed in a manner of months? Renting a flatbed truck as needed only makes sense. If you want to start your own car rental service, you would think that you would need to actually own the cars you intend to rent. This is not necessarily the case. 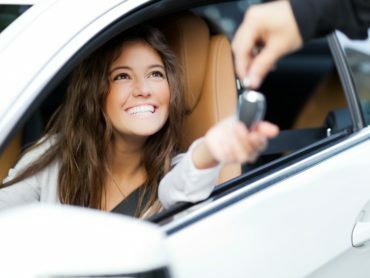 There are financing deals that can be made with used-car dealerships that can allow you to lease the vehicles and allow you to sub-lease them for your own purposes. If you live in the tropics or along one of the nation’s coastlines, chances are you are wanting to start your own boat-oriented business. This could be a boat tour of the surrounding islands or river deltas. You could offer fishing lessons or diving instructions, for which you will need a boat. Instead of teaching people how to fish, you could do your own fishing and sell your catch to markets. If you intended to open a restaurant or cafe, and planned to make it a floating one, you don’t need to own the boat. Instead of buying a boat to conduct your business, lease one to take clients out onto the water in. If you know a lot about an area, be it a city, a state, or a stretch of road crossing multiple states, use that knowledge to your advantage. Make your business a tour through these areas. But don’t buy the bus. Not only can a new bus cost a fortune for a startup business owner (even used can be extremely expensive), but there is no guarantee that there is a market for your knowledge; others may not share in your passion. You wouldn’t want to get stuck with a vehicle that you have no means of paying for in this instance. Renting the bus will give you the ability to return it at the end of the lease and save you from the financial disaster this scenario could cause. Many businesses rely on office furniture. As discussed previously, your desk and your chair can be rented. The entire office can be furnished with rented items. This goes beyond just the furniture. This could include industrial-sized printers for mass copying or multimedia projectors for those quarterly meetings, or the software you use in your computers. If you are going to use it sporadically, or if the price of the equipment is outside of your monthly budget, chances are you are going to want to rent the equipment instead. When you are looking for a location for your proposed business, don’t think that you have to buy the property you are hoping to grow roots into. The majority of properties you are likely to be interested in will put you in a prime location for people to see. Because of this, the property is probably not for sale — but they may be willing to lease. In fact, most commercial property is owned by organizations looking to make money from renting out their properties to businesses. Instead of trying to find a plot to develop on, take advantage of the fact that someone has already developed a property that can fit many needs, including yours. Sign a lease instead of a land loan.